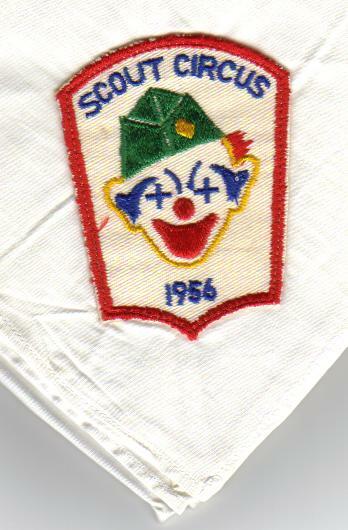 This patch was issued on a white neckerchief as shown below. 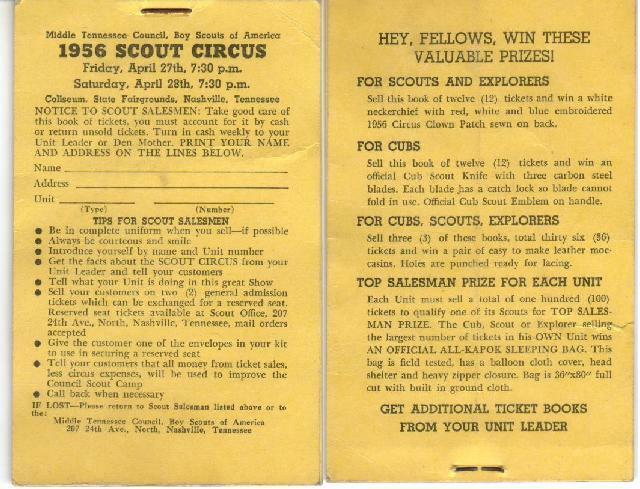 As noted on the 1956 Scout Circus ticket book (image below) a scout had to sell 12 tickets to the scout circus to earn the neckerchief. 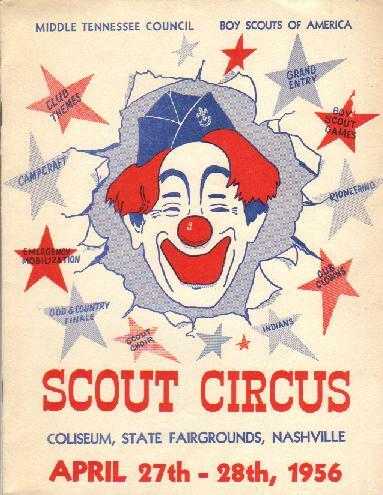 Also shown below is the program cover.